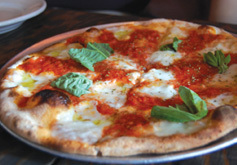 For those who have searched endlessly for the perfect New York eats–the hunt is over. Gray Line New York, home of the red double-decker tour busses, announced three new culinary tours on Friday. “Tastes of Chinatown” includes Cantonese BBQ and jerky, Peking dumplings, Shanghai scallion pancakes, Taiwanese teas, and dim sum. “The Original East Village Food, Drinks, and Cultural Tour” is an evening out on the town with hand-crafted beers, Belgian fries, Italian pastries, and Japanese takoyaki. And for those looking to taste the best traditional foods of the city, there’s the “The Ultimate New York Food and Culture Tour in the Village,” with a menu packed with pizza, bagels, hot dogs and cupcakes. Each tour is about three hours long and includes enough food for a complete meal so be sure to come hungry. For more information and to purchase, visit Gray Line New York’s website.